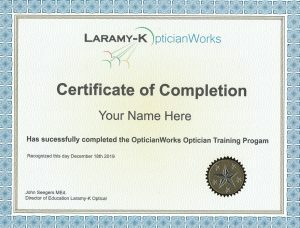 Unless you are required to take the ABO, skip it and spend your time working through the entire OpticianWorks program. It will be time much better spent. And, YES we will send you a certificate just like the ABO would. Actually our certificate is much better looking! But, if you are required to take the ABO this is where you will practice for taking the exam. 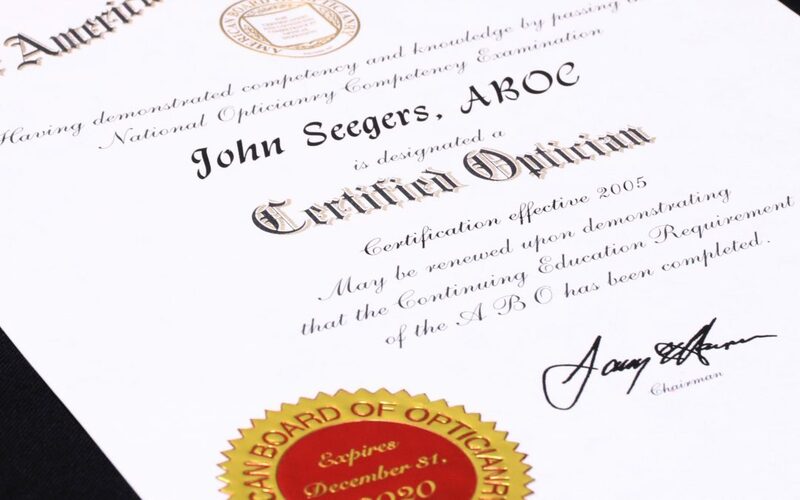 OpticianWorks does not endorse the ABO and these practice tests are only for ABO preparation. 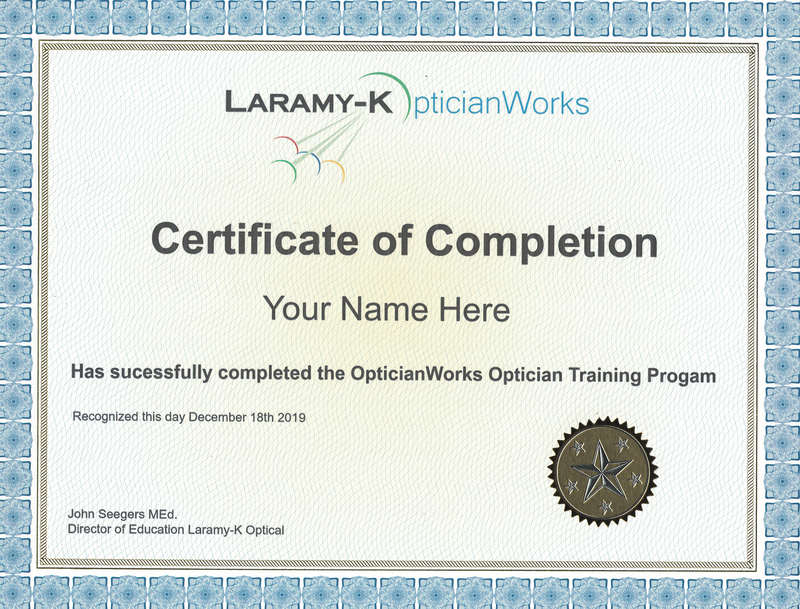 Although every effort has been made to include everything you need in the Free Ultimate ABO Study Guide you will find that taking the exam will be much easier if you work through all of OpticianWorks first. OKAY SUPER-DUPER IMPORTANT HERE – Our practice questions, just like the ones for the ABO, are pulled from test banks of hundreds of questions. You know what? A few of those questions might be of poor quality. It happens, get over it and move on. There are enough questions on our practice exams and on the ABO that one or two “guesses” will not matter that much. In fact some of our questions are deliberately poorly worded and awkward so you can practice the “get- over – it – move – on” technique. Lesson 1 will give you tips on preparing for and passing the ABO exam. For goodness sake – READ IT! Lesson 2 will give you some general test taking tips. and a few on being a good student in general. For goodness sake – READ IT! Lesson 3 will be about motivating you to go beyond the ABO and earn more, be happier and actually enjoy your work. The ABO Does Not Equal Happiness! Lesson 4 will be where you practice, practice, practice. Each time you click Take the Quiz it will generate a 30 question quiz. You have unlimited time to take each quiz. You can SAVE and return to the quiz later, you can FLAG a question to review it before hitting SUBMIT. Lesson 5 will give you access to the full practice exam. Each time you click Take the Quiz it will generate a 100 question test pulling random questions from the test bank of over 280 prep questions. This test is timed (90 minutes) and you CANNOT SAVE and return to it, you CANNOT FLAG and review before submitting. Treat it like the actual test. We DO NOT have this for the NCLE! I’m sorry but we can’t find anyone to write the content we need. We have been trying for years now… if you know someone please send them my way.